I began this series to encourage other Black women to travel internationally. My purpose is to debunk the myths that traveling is an expensive luxury reserved for an elite few, and to ensure that new travelers know what to expect while traveling. This is your diary. Buy it. Read it. Plan it. Go! Traveling provides an experience to venture beyond what you thought you knew and experiences the fullness of life. There is so much beauty to be seen, people to meet, and adventures to take in the world. This inspirational guide is designed to speak to the spirit of wonder that resides in every Black woman. This is not my diary, it is the beginning of yours. 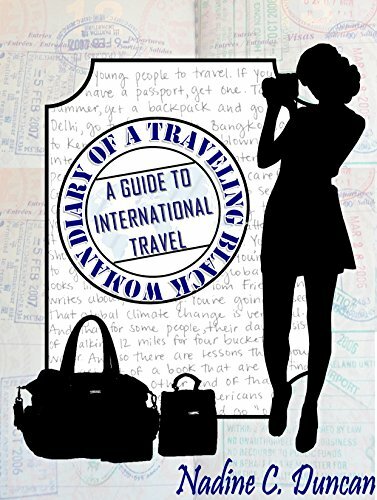 The experiences of the women in this guide and interactive journal will inspire you to travel to places you’ve never heard of, and grant you the courage to visit the places that your heart longs to explore. Did it seem like all of a sudden everyone was traveling to Dubai? Whether it was a new job opportunity, a glitch fare, or just plain ol’ wonderment, it seemed like everyone was packing their bags and heading to the Middle East. Well, it’s time for you to get on board! This is the bandwagon you do want to jump on! 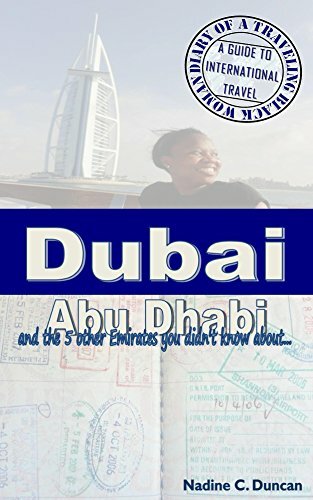 If you are interested in traveling to Dubai, Abu Dhabi, or any part of the United Arab Emirates, then this mini travel guide is for you.